630 Wailepo Street, Kailua, 96734 MLS# 201902934 Hawaii for sale - Hawaii Realty Intl. Back on the Market.....Price Reduction: Property is zoned Zoned A-2 (Medium Density Apartments). Existing home, (See MLS#201901831) is in excellent condition and could be replaced with a multi-family dwelling; See Photo, (Price on the photo does not represent sales price or price to construct). 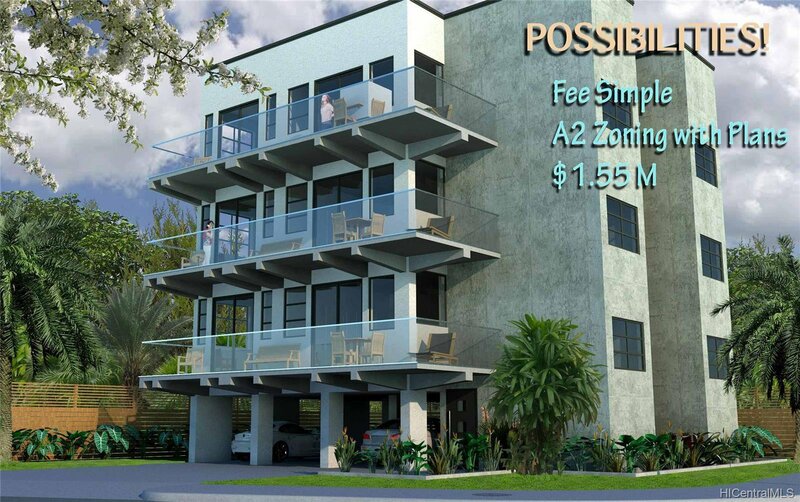 Seller will share an existing rendering of a four-story apartment building, with preliminary plans, to qualified Buyers. Kailua has precious few A-2 zoned properties....... and is one of the fastest growing communities in Hawaii. Live in one unit and lease out the others. Build an income generating property and begin your future now.